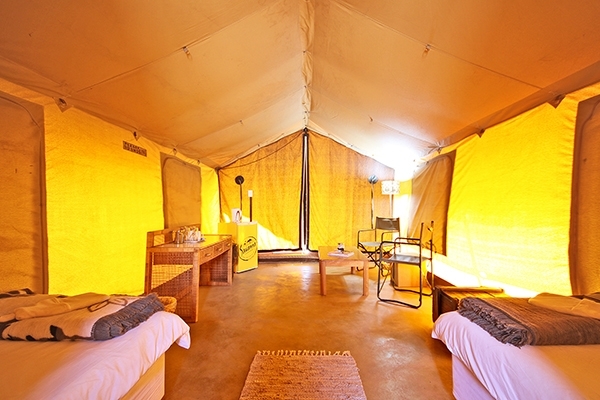 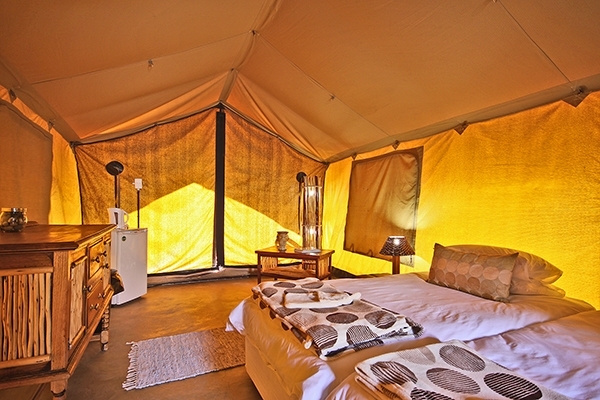 6 x Free standing, luxury safari style tents with en-suite bathrooms, air conditioning and bar fridge. 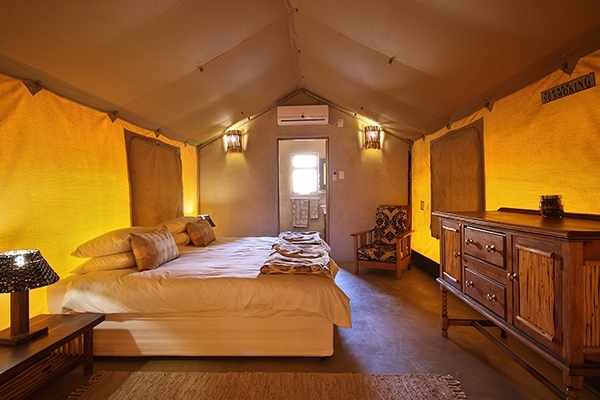 There are 5 double chalets that cater for 2 people each and 1 chalet which is a triple sleeper, caters for 3 people. 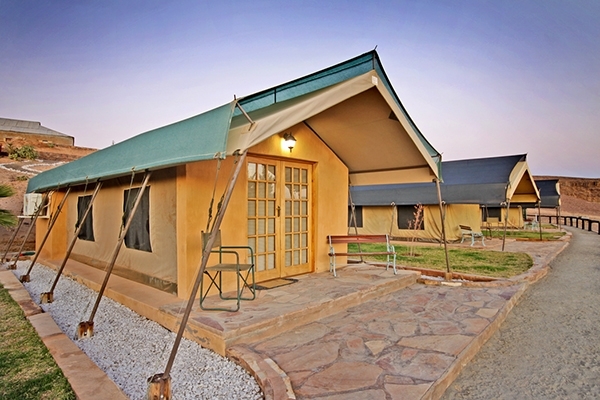 Guest are able to purchase braai packs, basic food necessities, wood, ice, cold drinks, bottled water and basic toiletries. 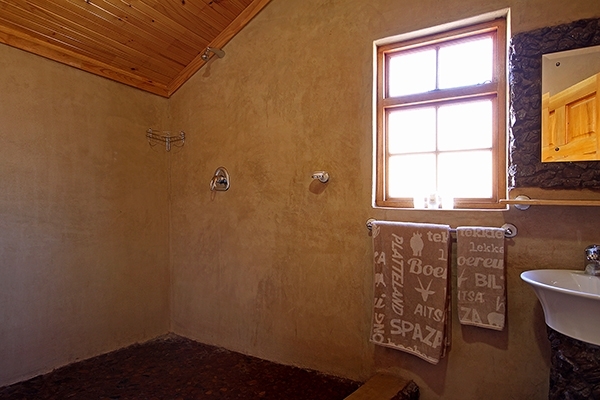 The bathrooms are built with stones collected from the local area. 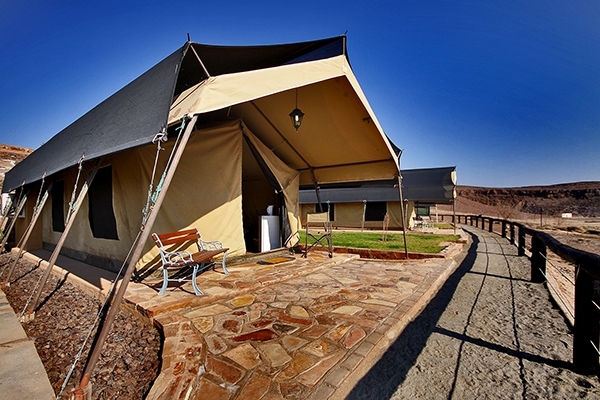 Each tent is surrounded with grass and incorporated with local stones. 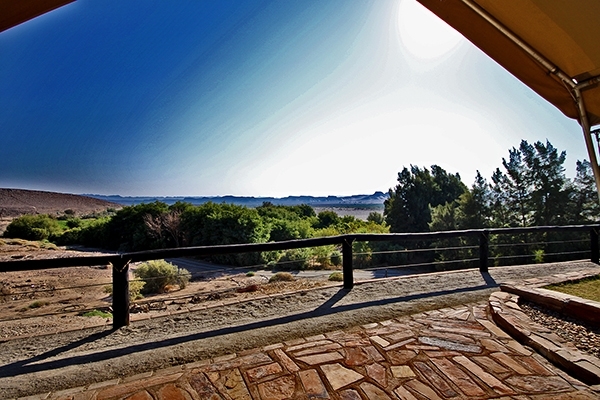 "Tiki Bar" & Deck Entertainment area with 180 deg views over the Namibian Mountains and the Orange River. 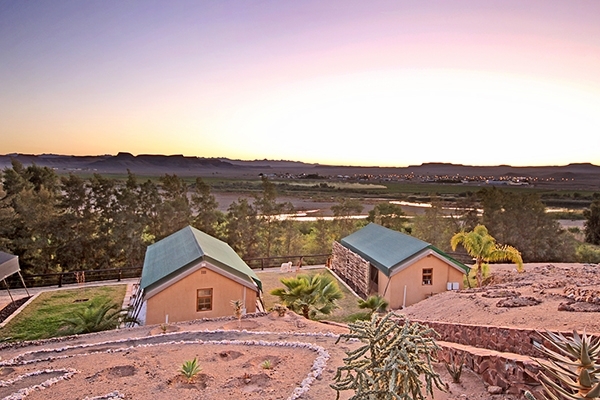 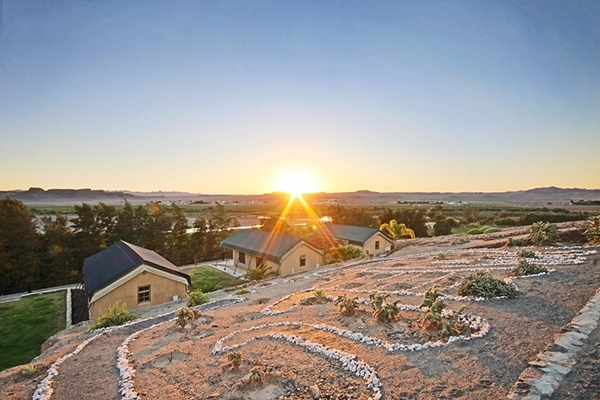 Situated almost half way between Cape Town (720km) and Windhoek (800km) on the N7. 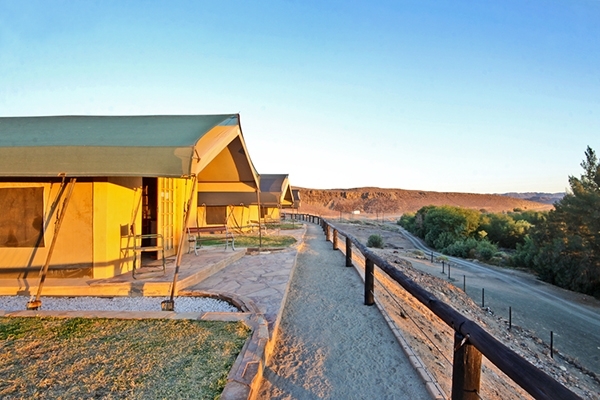 The site is an ideal stop over for travellers/ holiday makers into and from Namibia. 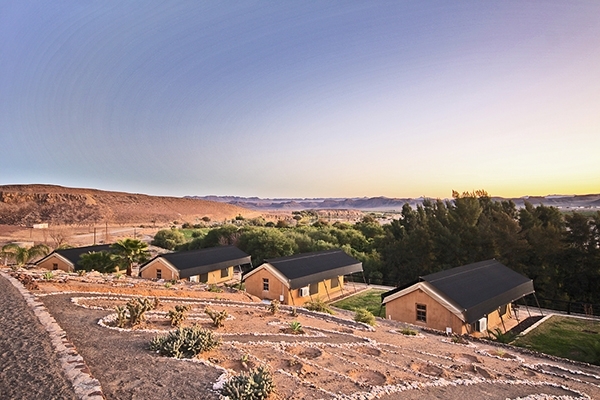 We are ideally situated for any 4x4 enthusiasts who are looking for a luxurious and comfortable alternative to camping both on their way to and from the Richtersveld National park. 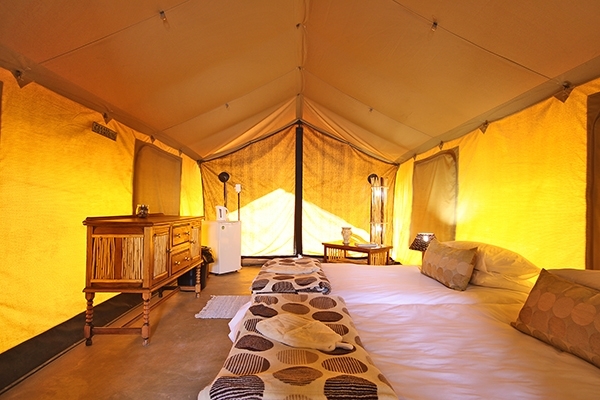 Overland groups are progressing to the more up market accommodation trips. 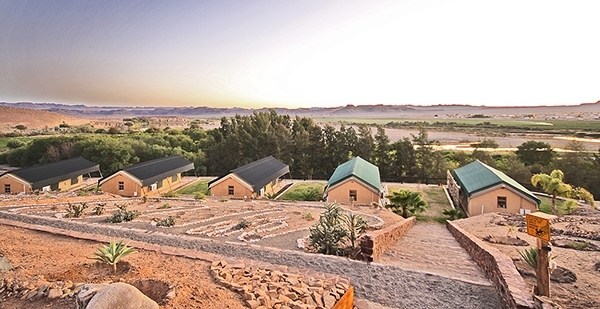 The setting on the bank of the Orange River is a great draw card for various overland companies. 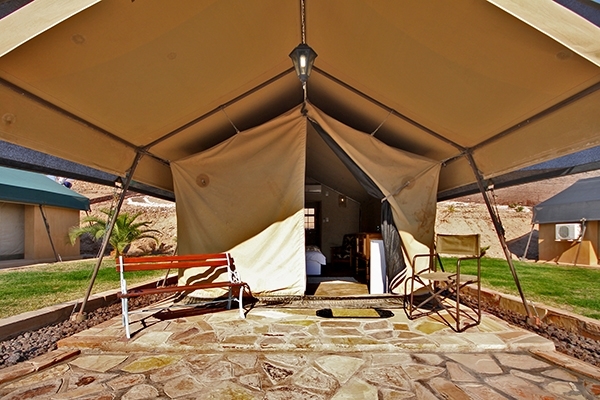 Extra stretcher bed with bedding for children @ R250p/child max 2 per tent. 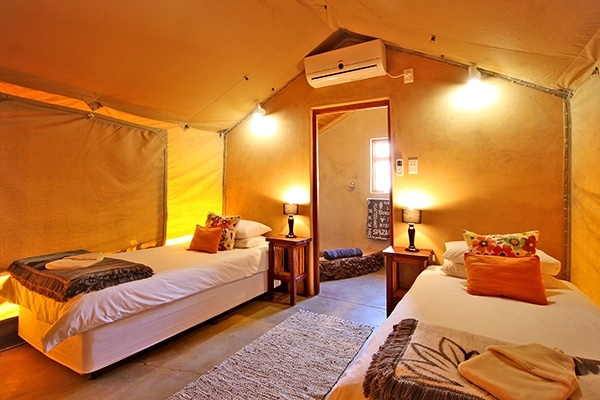 Children under 4 stay free. 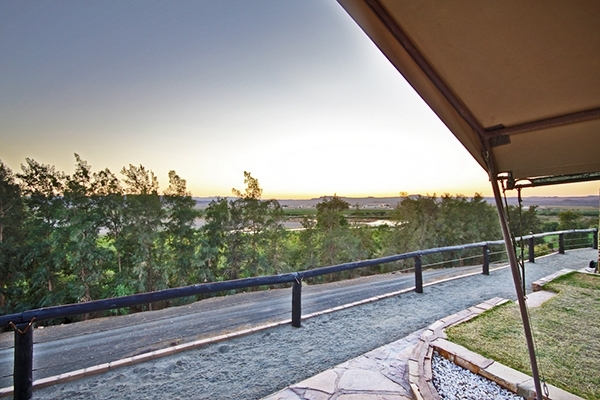 Breakfasts (full English) @ R120p/p on request.